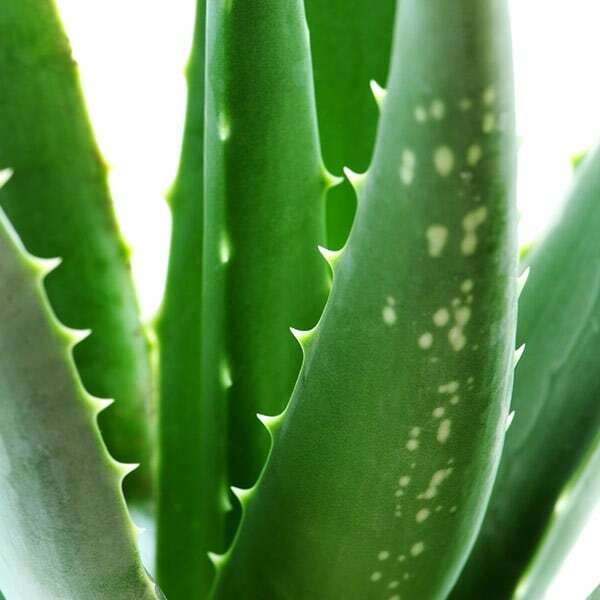 Often known as Aloe barbadensis, the first aid plant or medicinal aloe, for years it has been grown for it's healing properties, now often being used in cosmetics and alternative medicine. 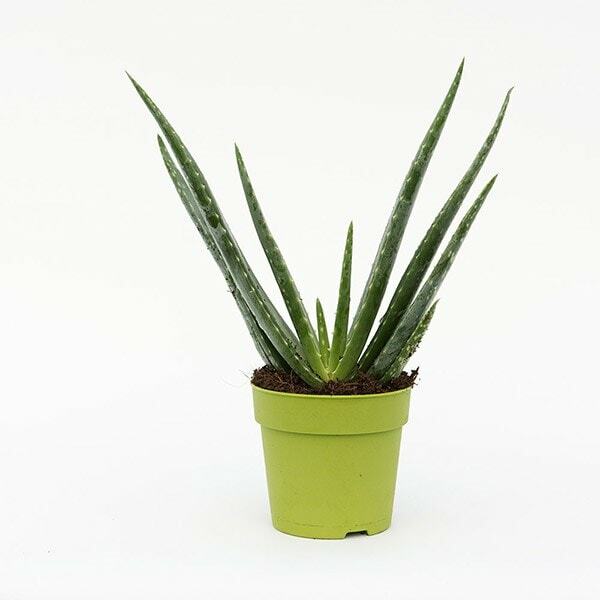 An evergreen succulent with fleshy leaves and thick serrated edges grows from a stemless rosette. 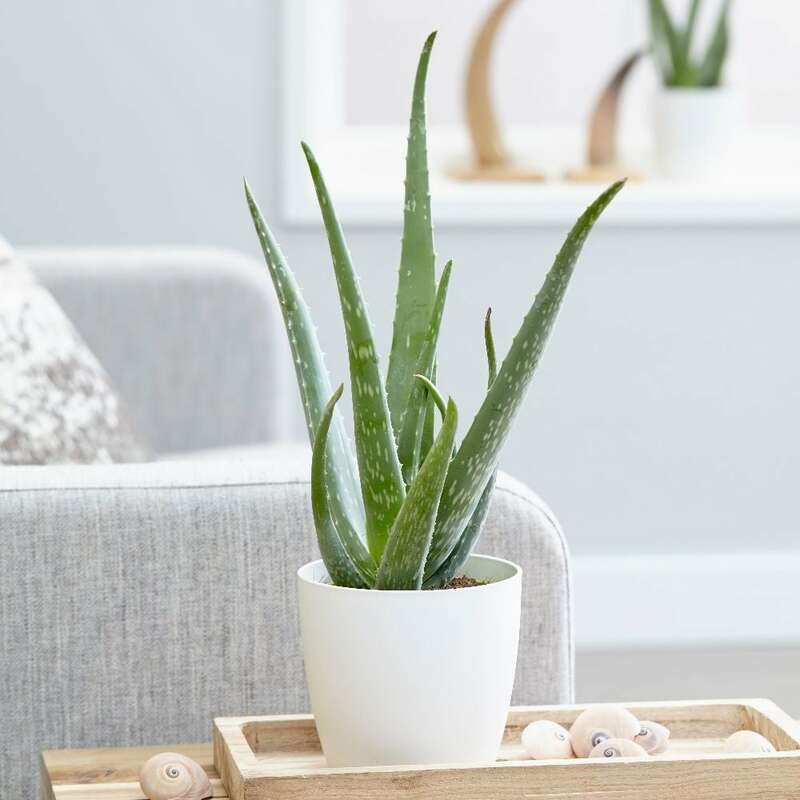 This low maintenance houseplant can, if you are lucky produce a greenish/yellow tubular flower in early summer, but really it is the simple striking leaves that it is grown for in the home. Please note that the pot in the photograph is not supplied with the plant (which is sent out in a standard nursery plastic pot). They do however make excellent potted plants, and if you wish to pot yours up, we do have a wide range of pots on our website to choose from. How do I remove a leaf to use the gel without making the plant look ugly? It's best to remove an older leaf (they have the most gel), by cutting through the base cleanly with a sharp knife. Is this 'grow your own' - means if I buy this one I receive a pot without plant yet - I have to wait till it grows? So not grown plant as seen on the picture? Hello there No this plant is already growing like in the photos.